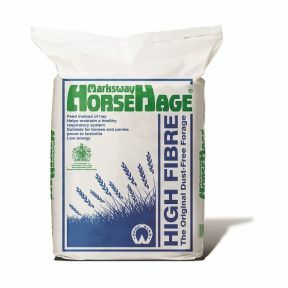 High Fibre HorseHage is made from a selected mix of grasses that are high in fibre and lower in protein and energy levels. Ryegrass HorseHage is made from a selection of ryegrasses cut at an earlier stage of growth to provide optimum protein and energy levels. A high quality chaff combining straw and a light dressing of molasses with the addition of calcium. Made from the highest quality wheat straw chopped and dust extracted. Contains a light dressing of molasses. Naturally high in fibre. 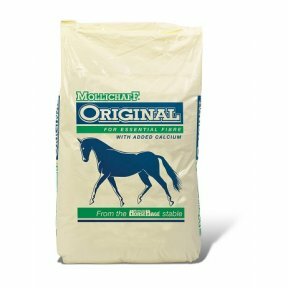 A high oil chaff for ultimate show condition, suitable for all horses and ponies. 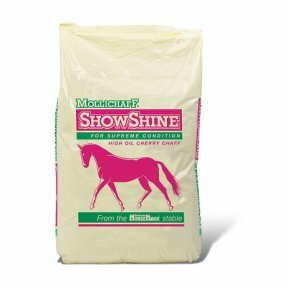 Cherry flavouring gives ShowShine a delicious taste and smell making it highly palatable to even the fussiest of feeders. Made from the highest quality oat straw # chopped and dust extracted. 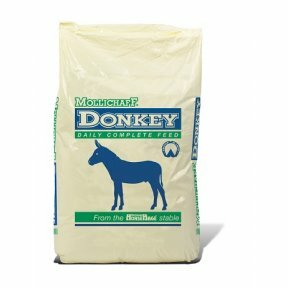 Mollichaff Donkey is a highly palatable mix containing a balanced blend of dried grass, fibre pellets, oat straw, and soya oil with camomile, mint and lemon balm. It also contains a broad spectrum vitamin and mineral supplement, which includes limestone and magnesium. Limestone provides additional calcium for strong bones and healthy growth.